Is it okay to say I love how this turned out? Because I do. I made some patriotic popcorn balls, added them to a dollar spot Target bucket and attached my cute tag. 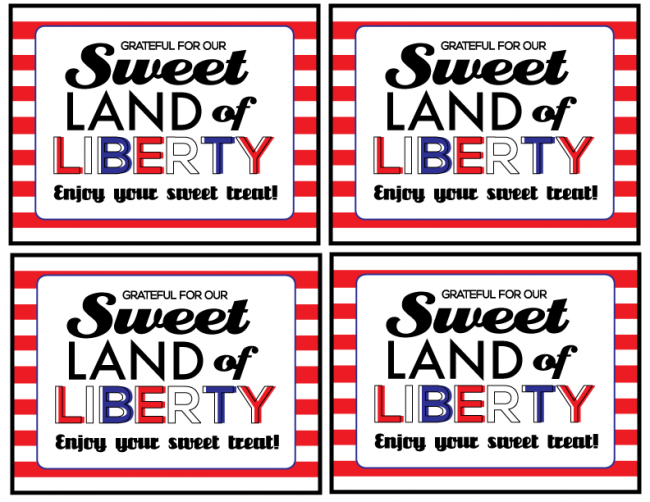 Download these patriotic tags. For personal use only. Thanks! 1. Eighteen25: Have a blast this 4th of July with these fun tags that make great party favors! 2. The Crafting Chicks: Print, cut and hang this festive USA Banner. 3. Kiki & Company: Eight printable cupcake wraps that make any dessert patriotic! 4. Paging Supermom: Patriotic Parade Fan to create your own cooling summer breezes. 5. The Idea Room: Patriotic mason jar drink labels. 6. 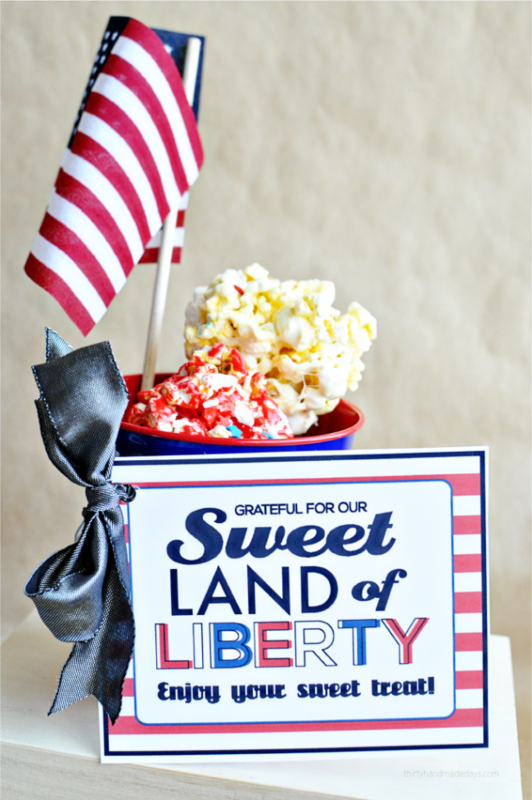 Thirty Handmade Days: Fun “Sweet Land of Liberty” tag featuring Patriotic Popcorn Balls. 7. Simple As That: Free printable Red, White and Blue Wall Art. 8. Whipperberry: Can’t have a summer party without water, and here’s a free printable tag.